WINONA LAKE — Two were arrested after officers discovered methamphetamine in a vehicle. 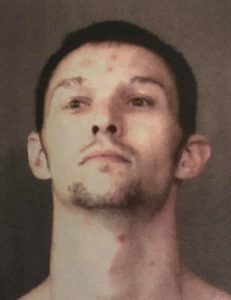 Bruce Lee Kintzel, 27, 2057 S. Julian Drive, Warsaw, is being charged with possession of methamphetamine, a level 6 felony; and possession of paraphernalia, a class C misdemeanor. 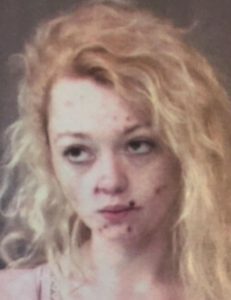 Courtney Michelle Larkin, 22, 64073 US 31, Lakeville, is being charged with possession of methamphetamine, a level 6 felony; possession of a syringe, a level 6 felony; and possession of paraphernalia, a class C misdemeanor. On July 3, officers with the Winona Lake Police Department responded to a report of a suspicious vehicle at a Marathon gas station. According to the affidavit of probable cause, the caller stated that individuals had been sitting at a gas pump for approximately 20 minutes and appeared to be under the influence of drugs or alcohol. Officers identified the subjects in the vehicle as Larkin and Kintzel. While speaking with both of them, officers noticed they were talking extremely fast and unable to sit still. An officer with the Warsaw Police Department used a K9 unit to conduct an outer air search of the vehicle. The K9 unit made a positive alert. In a purse belonging to Larkin, officers found a pill container that contained a white residue that tested positive for methamphetamine. In the front seat of the vehicle, officers found two spoons and a bottle lid with white residue that also tested positive for methamphetamine. After a drug screening, Larkin was walked over to the Kosciusko County Jail. During the walk, Larkin discarded a loaded syringe onto the floor. Both Kintzel and Larkin were booked in the Kosciusko County Jail on July 3, each with a $5,250 surety and cash bond. Both individuals have been released on their own recognizance. Kintzel is scheduled to appear in Kosciusko Circuit Court at 8:15 a.m. Aug. 30. Larkin is scheduled to appear in Kosciusko Circuit Court at 8:15 a.m. Sept. 6.